Cristiano Ronaldo, who has scored 44 goals in just 48 games for club and country so far this calendar year, played a major role in Real winning both La Liga and the Champions League. 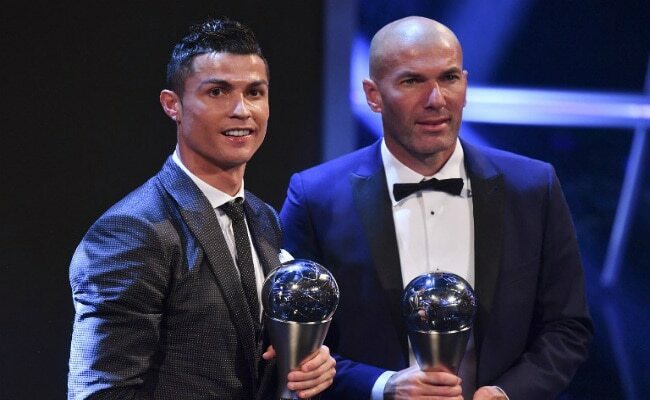 London: Cristiano Ronaldo's stunning last season saw him win the 2017 Best FIFA men's player of the year trophy as Real Madrid dominated a star-studded awards ceremony in London on Monday. "I have to speak in English, it is a difficult moment," joked the 39-year-old Buffon.